Our background check services are FCRA and state compliant and many use our extensive Multi-State Criminal Database Search. Rest assured with HireSafe you'll get an accurate and completely compliant employment background check report. Screening the temporary staff, contractors and other extended workforce employees you hire might be more important than extensive background checks for your full time employees. This background check package has everything you need to ensure you're hiring the best. View all the services included below. To keep your company compliant with the FCRA, if we find a criminal record through the national database we'll verify that information at the county court which may include additional fees. Ready to go? Click here to sign-up! *The TransUnion Credit Report is available after approval by the credit bureau premise visit with a one-time $65 fee. This search meets the minimum requirements for due diligence under the USA Patriot Act compliance. With this report we'll keep you compliant with the FCRA by confirming criminal record's found at the county court level which may include additional fees. View the services included with this report below. NEW ACCOUNT SETUP FEE IS WAIVED FOR THIS REPORT! The ONLY way to Verify if a SSN was legally issued. The SSN CBSV is the only verified authentication that the SSN was legally issued to the person presenting it. This is not the same as our SSN Trace Report which is used for pre-employment background screening. 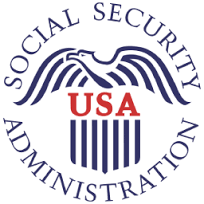 Instead, this report actually verifies the Social Security Number belongs to the individual.